Big and little kids tend to like cars and fast moving action vehicles that speed along the floor or race track and provide hours of fun. 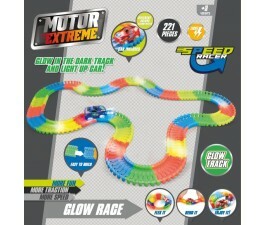 Our online, Australian based toy store carries all the racing cars and vehicles you can possibly imagine. Younger children will delight in character cars and vehicles like Lightning McQueen and more. Older children can build their own RC car with one of our many kits available. We also have many accessories and parts for toy cars and vehicles for sale online and in store. We have cars and action vehicles for all ages, all in one place at a great price. Today, many toy manufacturers have made cars and vehicles for kids that really encourage outdoor fun and play. Kids can ride on these toys and play for hours at a time. Many of these vehicles are small replicas of real cars or trucks. Nevertheless, in terms of construction, ride-ability, and accessories, children can easily operate them. These types of vehicles come in all kinds of varieties from race cars, jeeps, classic cars, fire trucks, wagons, coupes, taxis, or even airplanes. These kinds of cars and vehicles are made from all kinds of materials, but typically plastic or metal. These classic cars with pedals are manufactured by The American Retro Toy Company. They are similar to bicycles in that children must pedal in order to move the vehicles. In addition to cars and vehicles that are made with pedals, other manufacturers make some toys that are battery operated or can be used with a remote control. With the remote control, a parent can control the direct of the vehicle as well as the speed. Other vehicles utilize 6-volt batteries, and they run like real cars or trucks would but at a speed that is safer and slower. 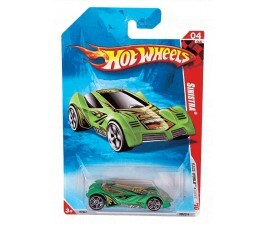 There are many toy companies today that make cars and vehicles for young children. These popular models come in coupe car or two-door models with roofs made from plastic-based materials. These small vehicles will only hold one child, and can easily be ridden around home or playground areas. These toys will work for children from ages two years old up to seven. If you want to purchase these vehicles, you should do so without hesitation because a young child can learn many things from this type of toy and it is a good way to introduce children to the importance of safe driving. With these cars and vehicles, parents can teach children how to properly operate a vehicle in order to improve the security of others who are on the playground. Some playgrounds even offer miniature traffic signs. You can let your children learn how to operate their vehicle and navigate around the signs. If you want to find a perfect toy for children, then these toys are just right. Another concern that a parent should have before purchasing any vehicle for their child is how durable it is. It is also important to properly manage your child’s vehicle. That way you do not have to worry about purchasing more than one on a regular basis, which will save you money. As with most toys, you want to do what you can to keep them properly maintained so they can be passed down to siblings, nieces, nephews, or friends.